FAQ: Frequently Asked Questions are Available but if you have more questions please connect with us as we are happy to answer any questions you may have. We loved having the photo booth at our wedding could not be happier with 4 Flashes. Three months later my friends still talk about it! Our photo booths combine the best of traditional design and modern technology. Up to 6 guests at your event can enter our luxury photo booth to capture memories together. Once your guests are ready to begin, they’ll be offered the choice of Black & White or Color prints. From there the booth will take 4 photos and then direct your guests to exit the booth. After exiting, the booth will print two photo strips within 30 seconds so guests can take their photos with them right away. 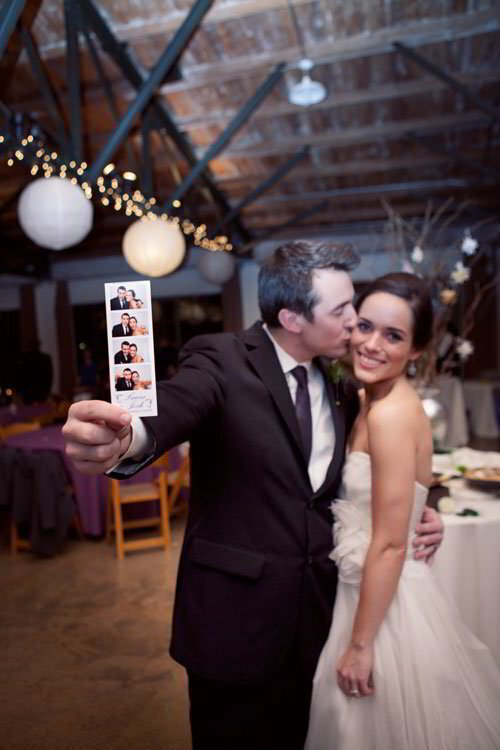 Your guests will be able to take an unlimited number of photos during the contracted time of the photo booth. These keepsake photo strips with your custom message or logo will remind your guests of your event long after it is over. After reserving your photo booth, we will work with you to design a custom logo or message that will be printed on each photo strip. Delivery and setup is free within 50 miles of the city center of Dallas. The photo booth will be setup and ready for use at the start of your contracted time. Your guests will have unlimited use of the photo booth during the event. We also provide props for additional fun!